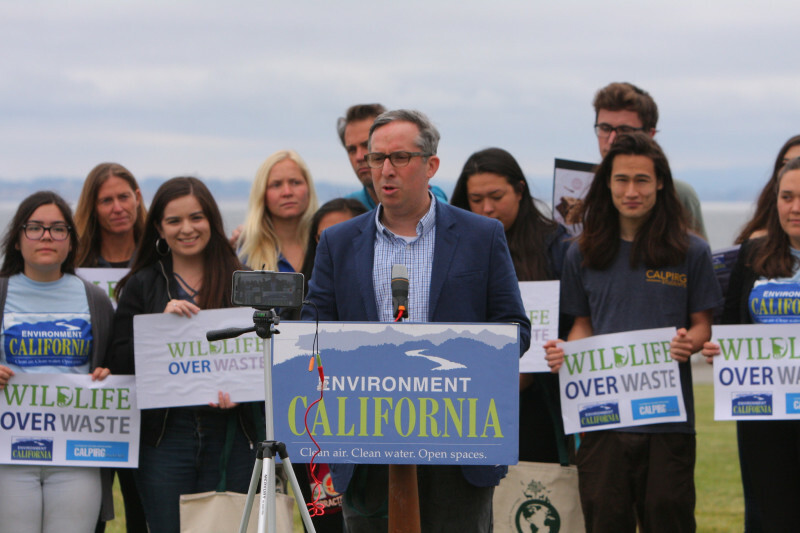 Santa Cruz, CA- Environment California and Environment America are deploying hundreds of door-knockers all over the country, including in Santa Cruz, to help educate Americans about the plastic waste that is killing our wildlife. 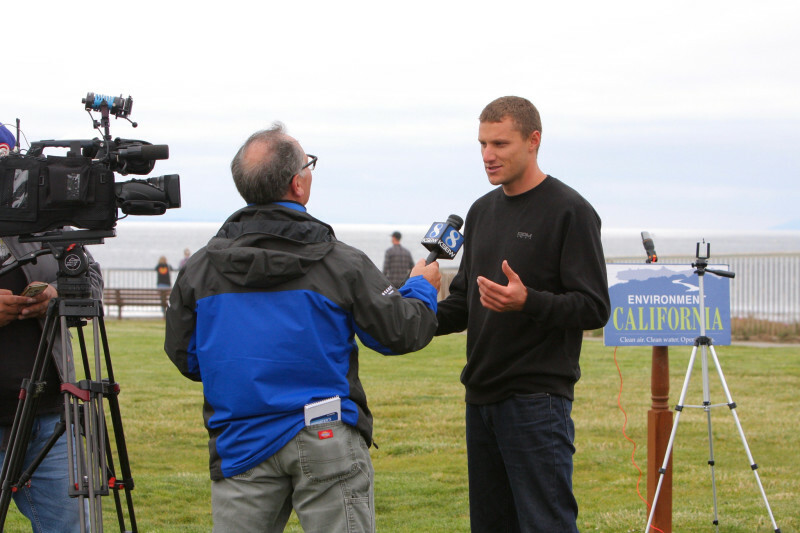 “Plastic pollution will be one of the issues that we will be judged for by future generations,” said Kyle Thiermann, professional surfer and environmental advocate. Polystyrene — the stuff we call styrofoam — is one of the worst kinds of plastic waste, often used for cups and food containers. Americans throw away an estimated 70 million polystyrene cups every day. About a third of that plastic waste ends up in our rivers, lakes and oceans. According to the National Park Services, the United States is estimated to use 500 million plastic straws a day. Plastics don’t biodegrade, which means they remain intact or break down into smaller pieces. Plastic fragments have been found ingested by literally hundreds of species, including 86 percent of all sea turtles and almost half of all seabird and marine mammal species. Across the United States, hundreds of cities like Santa Cruz have turned the tide against plastic pollution by banning plastic foam and plastic bags as well as companies like McDonald’s will phase out foam cups and containers worldwide, in favor of 100 percent recycled materials. “We are currently pressuring local communities to pass stronger food service packaging ordinances that include banning the use of non-recyclable plastic service ware like straws, lids, stirrers and utensils,” said Hayley Allison from Save Our Shores. Environmental groups across the state are advocating for swift passage of state bills to reduce single-use plastic pollution. Yesterday was a victory for Majority Leader Ian Calderon (D-57) and Assembly member Richard Bloom (D-50), who authored AB 1884 (Solid waste: single-use plastic straws), a bill which calls upon dine-in, full service restaurants to have a ‘straw upon request’ policy. AB 1884 was passed through the Assembly Appropriations Committee and will now be moving on to the Assembly Floor. Photographer specializing in action and nature. This entry was posted in Environmental, Featured, Local Loop, News. Bookmark the permalink.